Spring fishing is almost here, and fishermen are coming out of hibernation. Early spring can be boom or bust depending on if you are on the good side of a cold front. This time of year, the weather patterns are somewhat cyclical. We will have three of four days of clear, mile-high skies followed by a low pressure front that pushes through, usually followed by either cold weather or rain…or both. Then the pattern repeats. Most of us are not individually wealthy and have to work during the week. That leaves the weekend left for fishing. If the Fishing Gods are on your side, the cold fronts will push through on Sunday night leaving Saturday and Sunday day full of great fishing. If you have my luck, the front pushes through on Friday night leaving clear, blue-bird skies, chilly weather and a drop in fish activity. There are some techniques that you can apply to help pry open the jaws of cold-front bass. It’s important to scale down your lure presentation. Instead of picking up your baitcasting rod with 15-lb. test, go with a spinning rod with 6- or 8-lb. test. Fish are going to hold tight to cover under cold front conditions. Instead of blowing down a bank and hitting cover with one or two casts, slow down and dissect that cover with your casts. When you are finished, move your boat position and do the same thing from a different angle. The fish are going to be picky, and you are going to have to hit them in the head with your lure. By changing your boat position, you can increase your chances to getting your bait into strike range. Bass in clear reservoirs like Bull Shoals Lake will move to deep water during high barometric pressure situations. If you were catching fish in five to 10 feet of water before a front, move to 15 or 20 feet. Drop Shotting has risen to the top of many fishermen’s lists in the past few years when the bite gets tough. Originally started on the west coast, drop shotting has made its way across the U.S., especially in clear water lakes and reservoirs. 4-inch Grubs are also a go-to lure for tough bass. Fished with an 1/8 oz. jig head, grubs have proven their existence for many years. Suspending Jerk Baits are popular during early spring. These baits can be tweaked to suspend perfectly or fall very slowly. If your jerk bait rises, add weight by up-sizing the hooks, adding lead strips or adding additional O-rings to the hooks. Don’t let a climbing barometer deter you from hitting the lake. Re-group, adjust and adapt your techniques to compliment the conditions, and you will have better success on the water. Technology and its Influence on Children – Good or Bad? I had an interesting conversation with a few friends this last weekend while we were at the deer cabin. My friend Paul was going into detail about his daughter’s addiction to her cell phone. His basic complaint was that when she had her phone, her head was down and she was engulfed in the cell phone world while the real world was passing her by. It’s pretty funny to see how technology has made our world easier yet more complex at the same time. Before, our lives were measured in years, days and hours. Now, they are measured in minutes, seconds, and milliseconds. Texting, Facebook, Twitter and all other social media outlets have our children mesmerized. The big question is, How and when do we introduce our children to the world of technology? Paul’s instinctive solution was to take the phone away and give it back when his daughter turned 18. While this might sound good, I believe it would do more harm than good in the child’s development. It is very important to introduce kids to everything in the world, especially technology. Like it or not, we are living in a technological world and not giving your children exposure that will be detrimental in the long run. When your children hit college, a) technology will be light years ahead of where it is now and b) if they are not on the front edge, it will have passed by them at the speed of light. Their jobs, social life, information sources, everything will be based in technology. Denying them entry to that world would be a huge mistake. I believe that it is very important for my children to be exposed not only to emerging technology, but also everything the world has to offer. The way we are going to approach this situation is to LET our kids have access, but be able to control that access by offering limits and by introducing them to different activities that keep them anchored in reality. Fishing, for example, is an activity that we all enjoy as a family. As they get older and start “leaning” toward their displays on their phones, I’m going to pull them back (ever so gently) and hopefully keep them interested in the outdoors. It’s funny, my wife and I are amazed that our kids can turn on the computer, log on to their “kids” websites and then log off when they are done. When I was a kid, computers were barely in existence…let alone a common household item. A computer to them is the equivalent of bicycles of my generation. My kids will have cell phones, but they will come with a list of rules that will need to be followed in order to enjoy the privilege of having it. Same goes with computers (and their games), mp3 players and anything the future throws at us. Only time will tell if it is the correct way. 10 years ago, my new wife and I went to Marco Island, Florida for our honeymoon. We had the most of the trip paid for my awards points from my wife’s traveling through work. Her Marriott points paid for the hotel for the entire week. Her Diner’s Club points paid for the car rental and air fare. The only thing we had to pay for was fishing and cocktails by the pool. I am a very lucky man because my wife loves to fish as well as just being on the water. Whenever we go on vacation, we like to hire a guide to take us fishing on the local waters. This trip, we chose Lake Okeechobee in central Florida. I have always watched the Saturday morning fishing shows with legendary anglers like Bill Dance, Jimmy Houston, Virgil Ward (yes…that long ago) and Roland Martin. I had heard that Roland Martin had a resort on Lake Okeechobee and we decided to hire a guide search for one of the lunkers that these guys have promoted in their shows. Once we arrived at our hotel in Marco, I did an internet search for guides at Lake O and found one that looked good. We made arrangements for one night at Roland’s place and told the guide we would be ready to go the following morning. On our way to the lake, I tried to envision what the lake would be like. Most of my bass fishing has been done in Missouri reservoirs like Lake of the Ozarks, Bull Shoals, Table Rock, Norfork, etc. I guess my thoughts painted a better picture of the lake than reality did. We hit central Florida and, man, what a disappointment. We drove through Clewiston and our jaws hit the floor. I was expecting something that resembled a resort town (Elden or Camdenton, MO). Instead, we found a very rural town with little development. I remember thinking that Roland’s resort must be in the good area. Again…I was wrong. The resort was a glorified Motel 8 but the rooms were cool and the sheets were clean. Even though I was disappointed with the accommodations, I still had hope of a great fishing experience. The next morning, our guide met us at the boat ramp. Since we were there in September, the fishing was not predicted to be great, and Florida was in the middle of a draught and the shallow lake was even lower. My goal on any fishing trip is to catch at least one fish. Not a lofty goal, but a realistic one. Some days are great and some days are tough. My captain said that our best chance of catching quality fish was by using shiners and a float. I have been fishing a long time, and live bait has never been an option for me. Since we were paying a lot of money, we agreed to using shiners and a bobber. Our first stop was fairly close to the boat ramp. I was amazed at how shallow the lake was. Getting to our spot, our captain basically ran his lower unit through the sand to get there. I typically fish in lakes where six feet of water means shutting the motor off! What we did was the equivalent locking in the 4-wheel drive to get to our spot. Our first spot was the best of the day. I caught a few 2+ lb. fish. The guide told us to watch the bobber. When a bass was getting close to the bait, the shiner would begin to panic and make the bobber go crazy. Within a few minutes, my wife’s bobber was going crazy…and then it disappeared. She set the hook and the battle was on. She did a great job of keeping the fish from jumping and throwing the hook. When she got it to the boat and the guide picked it up, her jaw hit the deck of the boat. It was a 7lb. 1oz. bass…the biggest bass of her life. 10 years ago, I did not have a digital camera…just my Pentax K1000 35mm. I managed to take a one good of the nice bass. My wife was speechless and had the biggest smile on her face. She was so proud that she caught a fish her dad (who is also a big fisherman) would be proud of. While we did not catch any more lunkers that day, we had a great time. That fish made our day…as well as the rest of our trip. We let the fish go and our captain gave us a lunker certificate which we still have to this day. After we got back to the ramp, we packed our gear in the car and headed back to Marco for some poolside margaritas to celebrate a great day on the water as well as the beginning of our marriage. One of my next blogs will cover our 5th anniversary trip to the Florida Keys in search of bone fish, permit and tarpon. It’s been a long winter and the days are now getting longer, a sure sign that the granddaddy of all fishing tournaments is about to take place. Starting Friday, February 19, the Bassmaster Classic begins on Alabama’s Lay Lake and runs through Sunday, February 21. ESPN takes the enjoyment to a higher level by beginning their Fantasy Fishing League on the same day. My coworkers all get a chuckle when I tell them that my fantasy fishing league is starting this weekend. They always respond with comments like, “I WOULD play, but it might interfere with my fantasy tetherball league!” I always respond with the fact that fishing is a billion (with a “B”) dollar industry and is growing annually. ESPN’s fantasy league is a great way to not only take a chance on some great prizes, but also to learn about the people on the circuit, how they fish, how they read the lake, how they adjust to weather conditions and how they choose the lures to match those conditions. ESPN does a decent job of providing info and stats for helping with your picks, but there is room for improvement in my opinion. Currently, it is up each player to research the lake, learn each fisherman’s strengths and weaknesses as well as mixing in a bit of luck with their picks. What I HAVE learned though is that no matter how much time and effort I put into researching a tournament, there always seems to be someone who is not in the top 15 that has an awesome day on the water. Click HERE to register for the Fantasy Fishing Game. You will have to sign up and then make your picks before Friday afternoon. Once the deadline passes, your picks cannot be changed. After the tournament, your standings will be posted on the website. 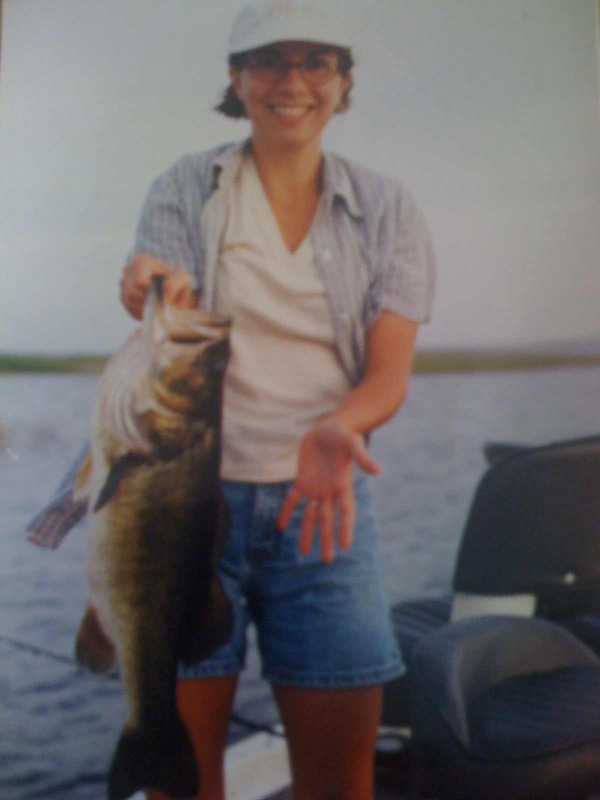 Side Note: Congratulations to Pam Martin-Wells of Bainbridge, Ga., who scored the second berth ever for a female angler on the strength of her 2009 Toyota Tundra Women’s Bassmaster Angler of the Year title! Check out ESPN Outdoor’s coverage of the Bassmaster Classic this Friday, Saturday, and Sunday on ESPN360.com. I was very sorry to hear the news about Captain Phil Harris from the Discovery Channel’s “Deadliest Catch”. He was the 53-year-old fisherman in charge of the Cornelia Marie. His rough-and-tumble image was one of the best parts of this fantastic show. As a fisherman in the Midwest, I often complain if I have to fish a tournament in the rain or cold. These Alaskan King Crab fisherman must have ice in their veins…and they rarely complain. If they do, it’s because of something other than the weather. These guys are machines. They operate on little sleep. All they need is hot coffee, cigarettes and the occasional hot meal. Even though my friends were making fun of the show (because that happens almost every episode), what they said best describes a true fisherman. Bad conditions and a slow bite will only encourage the fisherman to dig deeper into his or her bag of tricks to try and get the “fish” to bite. Captain Phil, you will be missed. I hope the show keeps going without you.